Easy to read yard signs can make the difference between getting the vote and losing the vote. BPGraphics has decades of experience producing outdoor graphics small, large and REALLY large campaigns. Our army of digital flatbed presses and 5-color inline screen press provide clients fast and affordable results for any campaign size. Some of the most popular sizes for campaign sizes are below, but we can also produce a variety of custom sizes based on your needs. But why stop there? 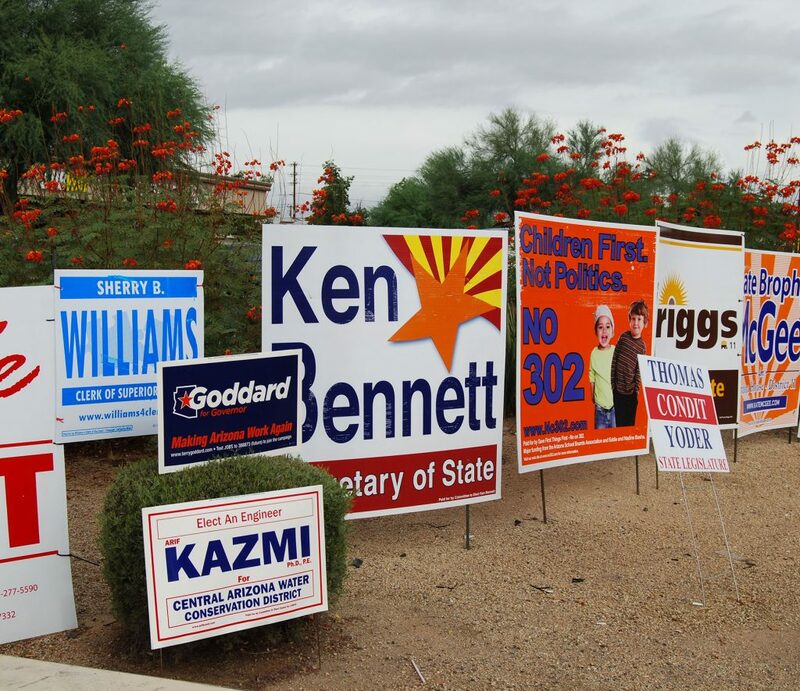 Campaigns are more than street signs, we can assist your run for office with vinyl banners, flags, tents and more. 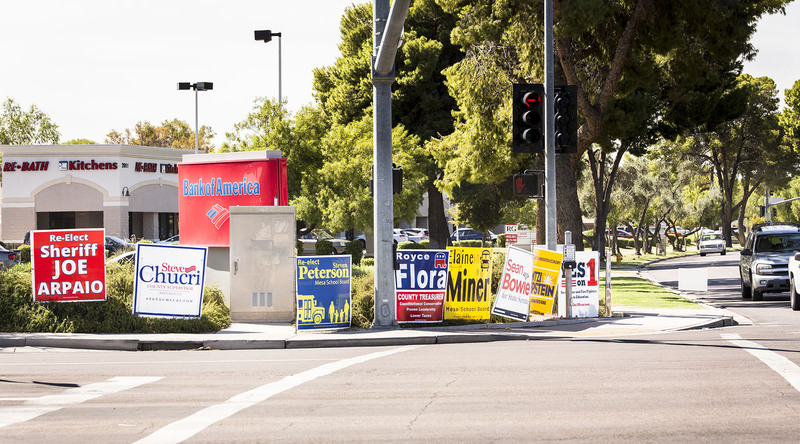 Increase voter turnout with clear and visible street signs.